Our first impression of relationships comes from our parents, whether we like it or not. The good news is that parents have a unique opportunity to help children receive love and construct safe boundaries. Now and again, however, parents struggle in their relationship with each other -- sometimes resulting in separation and divorce, other times requiring repair. What's one to do when there are kids in the mix? In the midst of high-stress situations, especially conflict between parents, the sweet souls of little humans can get lost in the mix. Even with the intention of protecting them, the big feelings and needs of little ones may be overlooked. You’re not the first to come looking for co parenting tips. These three mindful practices can make a difference with co-parenting, especially during times of conflict between parents. Children are exposed to their parents’ relationship before they see any another example. Is conflict sometimes a part of that dynamic? Absolutely. Still, there is a difference between acknowledging that conflict exists and can be worked through (or that a separation is needed) and exposing children to the grittier side of their parents’ relationship. The simplest guideline is to be kind about each other in front of the kids or say nothing at all. In order to make this happen, it is important to actively make time and space to have difficult conversations away from little hearts and ears. Help your child get heard. Seeing or hearing parents fight can be scary for kids. The people who impact them most are causing some seismic shaking in their world. In some children, the resulting anxiety will manifest in their words and behavior, often in less than palatable ways. 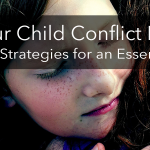 Bitterness toward one parent or both is not uncommon; children have a hard time seeing a bigger picture and imagining another side to a conflict. Resource outside of the parent/child relationship. A natural way to deal with relationship conflict is to reach to the nearest person and seek some comfort. Sometimes, however, that nearest person is your child. It is not healthy for a parent to resource their child for validation and comfort — it should be the other way around. But that does not mean you are supposed to be alone! Find a friend, family member, or therapist who you can trust to provide some empathy and a place for you to express your anger and sadness. This not only provides you with quality connection but it also allows your child to be just that — your child. 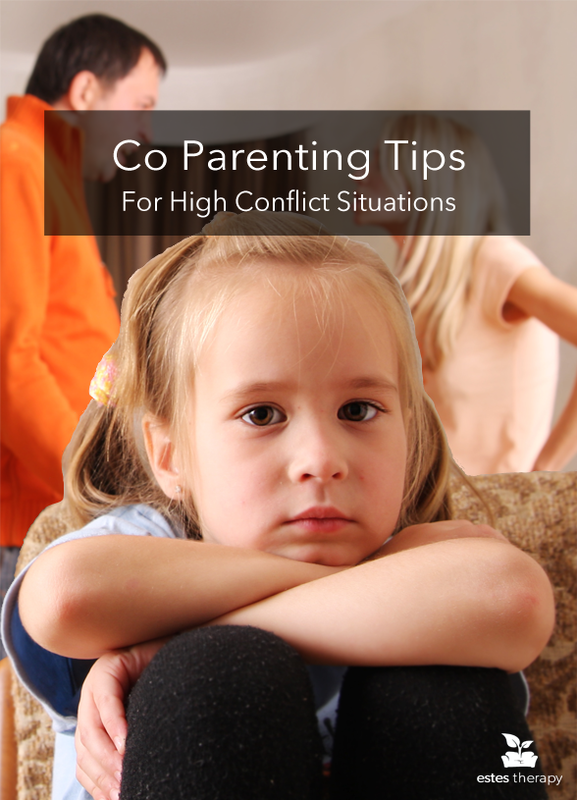 Co-parenting is not an easy journey, even for couples who are not in the middle of a high-conflict situation. It requires constant negotiation and creativity, and, let’s be honest, causes some frustration! When those little hearts that matter most to you are in turmoil, your parent love wants to do everything you can. You’re not alone! 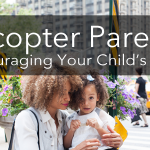 Estes Therapy is here for you not just with co parenting tips, but as a resource for help with co-parenting and/or for your child(ren) as your family works through transitions, conflicts, and life experiences. This can be a tough time for both you and your children. If you, your partner, or your children are still struggling with your co-parenting methods, seeking counseling can help. Check out our Child and Adolescent Therapists page to see who is the best fit for you and your child(ren).